Tainted wrestler Narsingh Yadav was exonerated of doping charges by the National Anti-Doping Agency panel, probing the positive tests on his urine samples on Monday. It ruled "there is no negligence on the athlete's part and he is a victim of sabotage”. "The panel concludes that the athlete deserves the benefit of article 10.4 of the anti-coping rules of NADA 2015. There is no fault or negligence on the athlete's part and he is a victim of sabotage," NADA Director General Navin Agarwal told reporters while reading out the verdict. However, he left without saying whether Narsingh is eligible to participate in the Rio Olympics, which opens on August 5. The wrestler, who was replaced by Parveen Rana in the 74 kg event by the Wrestling Federation of India after he failed the dope test, will now have to be cleared by the International Olympic Committee and World Anti Doping Agency after a reinstatement test. Narsingh, who tested positive for methandienone, a banned anabolic steroid, had cried foul, claiming the entire episode was a conspiracy against him. Ending the suspense over the last few days, Agarwal read out a statement clearing Narsingh. "We kept in mind that in the past, till June 2, none of his samples were positive. It was inconceivable that one-time ingestion would be of benefit. Therefore the panel is of the view that the one-time ingestion was not intentional," Agarwal said. "The panel concludes that the athlete deserves the benefit of article 10.4 of the NADA's anti-doping code. Keeping in view that he was victim of a sabotage, the panel exonerates the athlete from charges of anti-doping rules of NADA," he added. Agarwal said the sample collected on July 5 had substantially lower content of the banned substance than the one taken on June 25. "...the report about indicative estimated concentration of prohibited substance in the sample collected on June 25 has substantially reduced in the sample collected on July 5," he added. "Important to note that report of the first sample was not known to the athlete till the collection of second sample on July 5. Had the athlete been regularly taking it, the report of July 5 would have been positive to the extent of having the main substance." Narsingh was present at the NADA headquarters when the news of his exoneration came in. The Wrestling Federation of India said the wrestler would now be reinstated to the squad. The NADA’s decision comes after three days of marathon hearings last week during which Narsingh's lawyers argued that the wrestler was a victim of conspiracy. Narsingh had even filed a police complaint, naming two fellow-wrestlers, one of whom is a 17-year-old. The NADA's legal team had argued against the sabotage theory before the disciplinary committee, saying the responsibility of keeping his system dope-free lay with Narsingh. The panel even summoned two cooks at the Sports Authority of India's Sonepat centre in on the request of Narsingh's lawyer, Vidushpat Singhania, on Saturday to verify the theory of his food being contaminated. Earlier, the argument put forth by NADA was that Narsingh was not eligible for remission, which he had been asking for, because he failed to establish that he did not commit any fault or negligence. 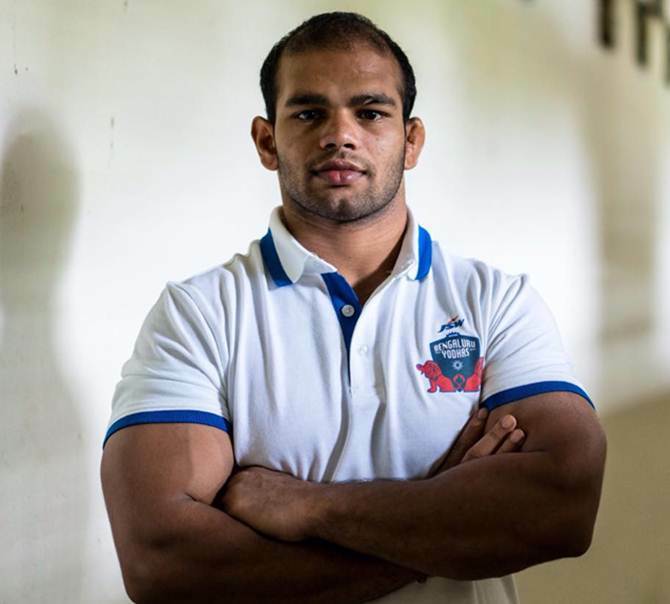 Narsingh was picked by the WFI ahead of two-time Olympic medallist Sushil Kumar for the Games on the basis of him bagging the 74kg Olympic quota berth with a World Championships bronze medal last year. Sushil's demands for a trial were rejected by the federation as well as the Delhi high court.